Then, we discussed some things we would wish for if a leprechaun granted us three wishes. 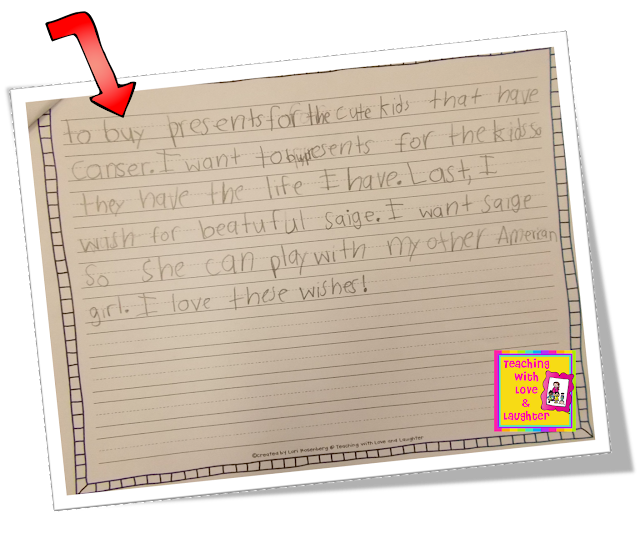 Most of the children went with the usual stuff like an iPAD, new toys, a limo, and bacon, which is fine, but, this sweet little girl went a totally different route and her essay literally brought tears to my eyes. See for yourself! 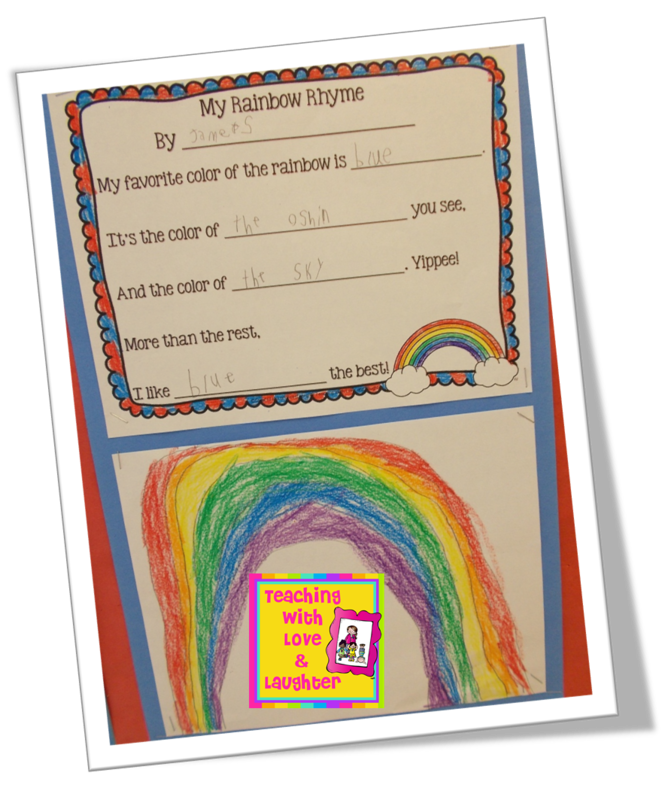 In kindergarten, my students made rainbow rhymes. It was a nice, simple activity that they really enjoyed. No patterns to trace, nothing to cut out. Just some writing and drawing. I didn't help them with anything! They sounded out their own words and were very proud of their results. Click here to snag a copy of the rhyme. In other news, I finished up my Pre-Primer and Primer Sentence Puzzles. Sentence Puzzles have become quite popular in my classroom. 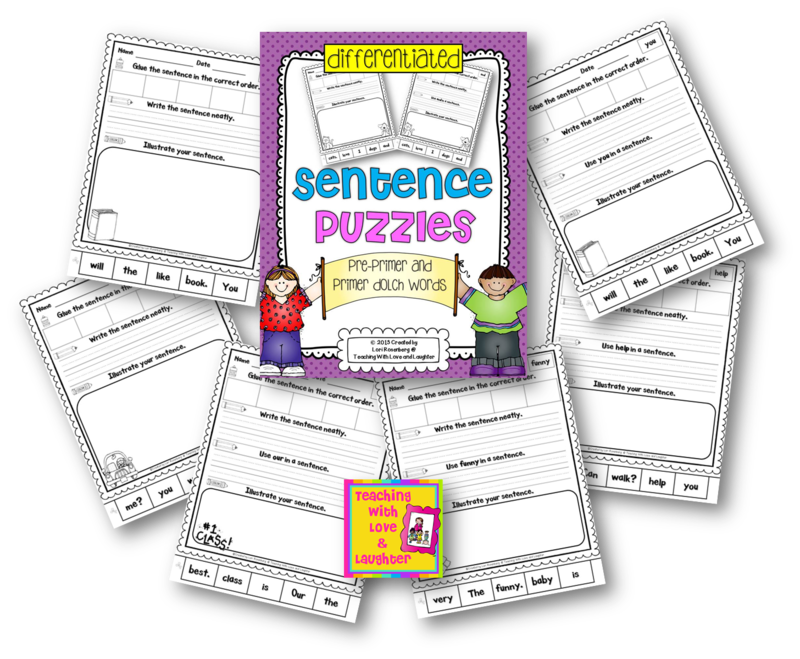 They are a fun way to practice reading, writing, spelling, conventions, and grammar. They include all of the pre-primer and primer words and are differentiated. Click here and click on the download to get a free sentence puzzle! Aren't they cute? 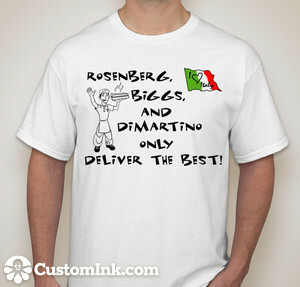 Biggs and DiMartino are the other two teachers in my cluster. 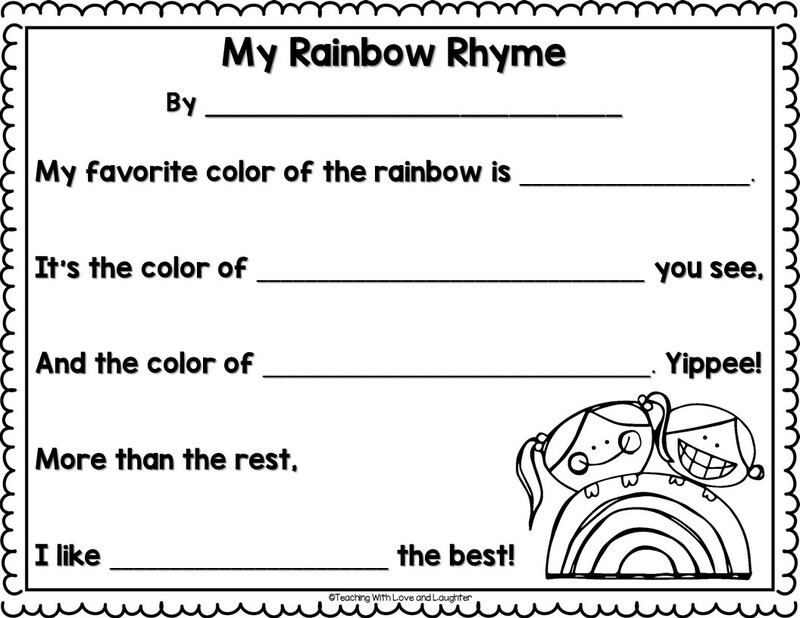 I love your "rainbow rhyme!" Such cute idea! Thanks so much for sharing that-I am going to have to sneak it in with springtime activities! Sweet writing. What a doll. 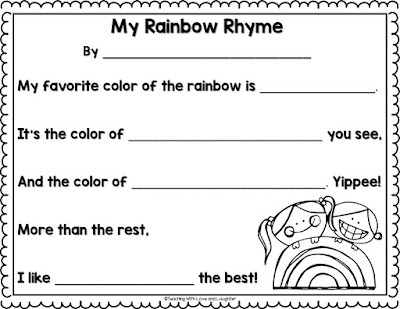 The rainbow rhyme is so cute. Thank you for sharing. And those t-shirts are fab! I love that book. It's always a hit! What a sweet girl! 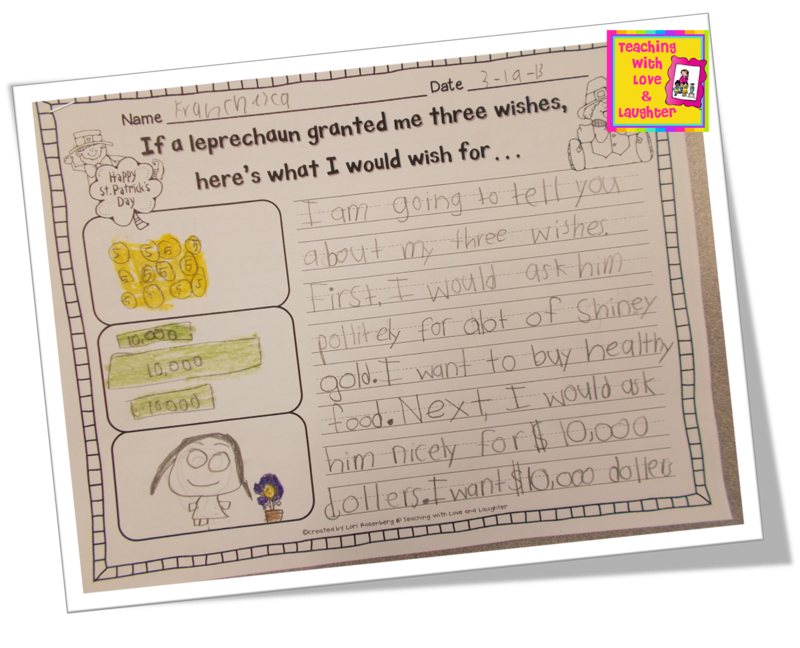 Her wishes brought tears to my eyes. Thank you for the rainbow rhyme freebie! Ohmigoodness, that little girl at the top is the SWEETEST! I love that! Lori, your Sentence Mix Up packs are fantastic! I am heading to TPT to add them all to my cart!!! Thank you so much for sharing the Rainbow Rhymes with us! So awesome! Oh my word, that little girl has the sweetest heart!!! 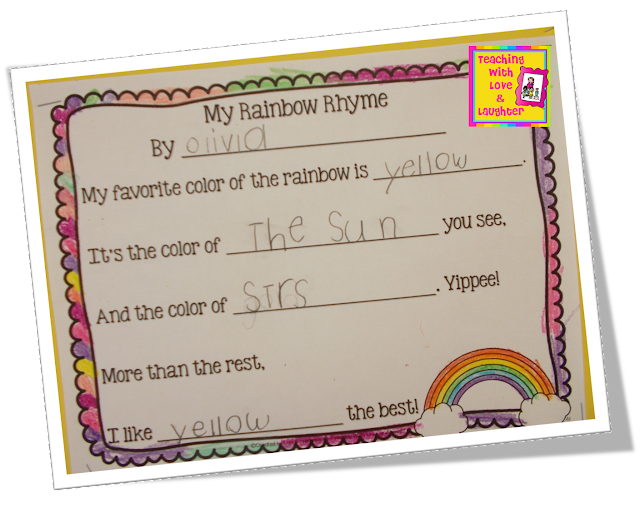 Love the rainbow rhymes and scrambles too! Pretty much just love you! What fun activities! 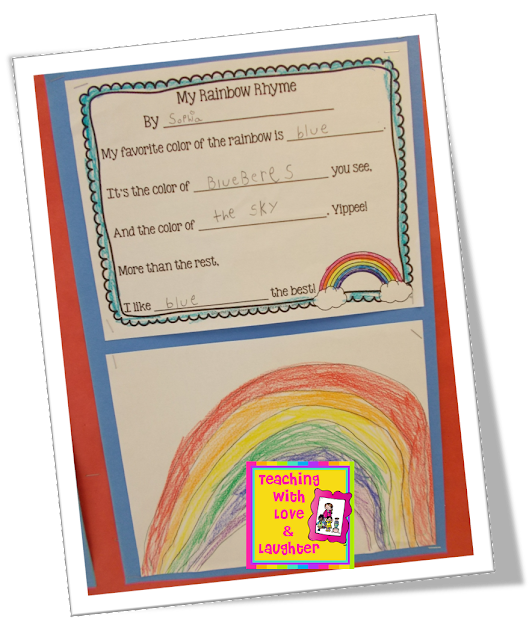 The Rainbow Rhymes rock! 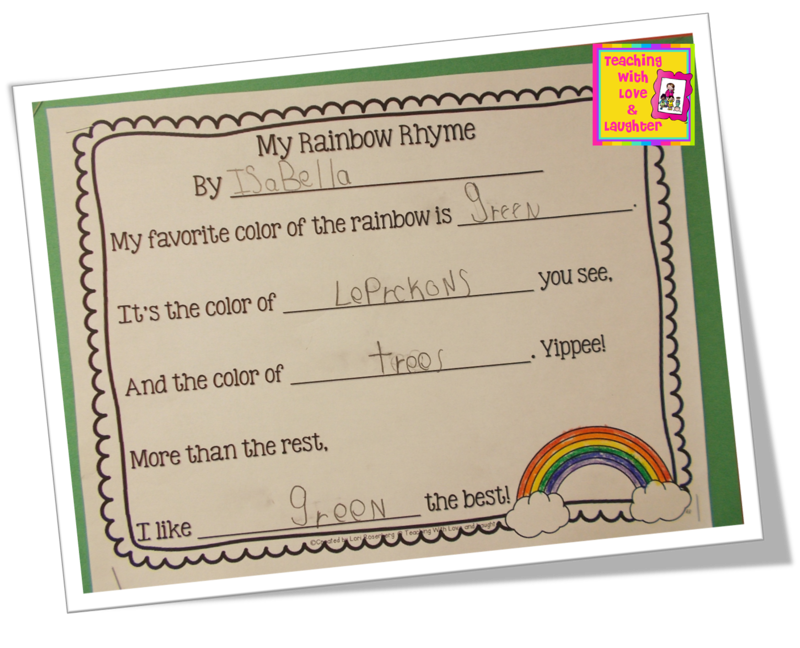 Love the Rainbow Rhyme! Thanks for sharing! 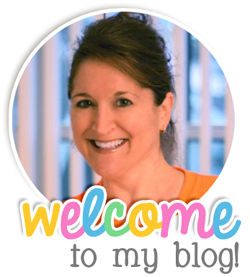 Just found your blog and this lovely rhyme....thanks for sharing it. 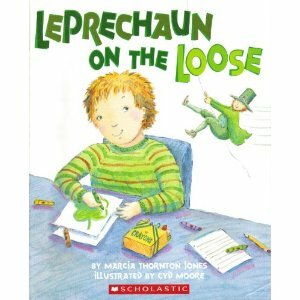 Do you have the Leprechaun on the Loose writing page somewhere?